I spend a lot of time on this blog talking about Windows, Mac, and even Linux. However, one group of laptops that I often ignore are Chromebooks. Well no more. Today I wanted to take some time to discuss some of the pros and cons of a Chromebook so you can understand more about what they are, how they work, and what is good and bad about them. My hope is that by doing this, you can decide if a Chromebook is right for you before browsing through the best Chromebooks on the market. Personally, I love my Chromebook, especially when I’m doing a lot of writing or other work on the web. For me, that doesn’t mean I have given up my PC or my Mac. Like any computer, a Chromebook is a tool. If you use it right, you will love it. Just make sure you use it the way it was designed. Otherwise, you won’t be satisfied with it. Before I go any further, first let’s examine exactly what a Chromebook is. Now you may or may not be familiar with Chromebooks. If you are, then you can skip down to the Pros and Cons sections. But if you aren’t, then listen up. 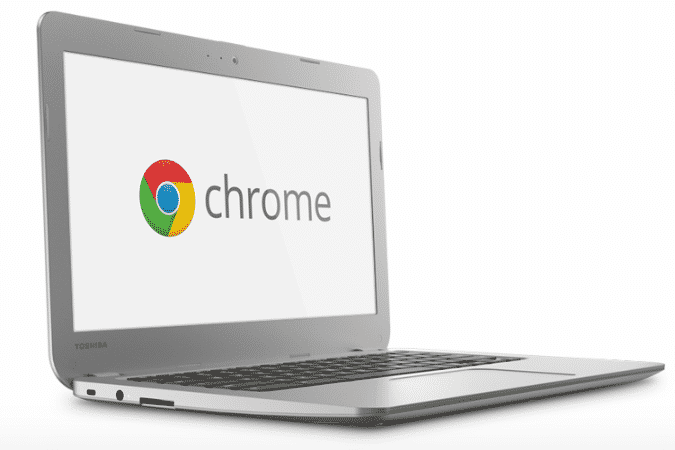 A Chromebook is a laptop that runs Google’s Chrome OS. Chrome OS is based on Google’s web browser, Chrome. It’s a web-based operating system that gives you access to tons of online applications and content. It’s not a full desktop operating system like Windows or macOS, but it does have some of the same functionality. If you plan on doing mainly web browsing, editing documents or even starting your own blog, Chromebooks make an excellent option especially if you are on a budget. Now that we have established exactly what a Chromebook is, let’s look at some of the pros and cons of Chromebooks so you can decide if they are right for you. I’m forever the optimist, so first I wanted to look at some of the pros of Chromebooks. It’s important to understand what they do well and what is good about them so you know whether or not they will work for your needs. Ready? One of the best parts about Chromebooks are their price. Sure, there are a few Chromebooks out there that rival the price of a large laptop, but for the most part Chromebooks are much cheaper than their laptop counterparts. This is perfect if you are shopping on a budget or if you just aren’t ready to sink 1K or more into a new laptop. In many cases, these laptops are only a few hundred dollars making them easy to invest in when you need to pick up a new laptop. Google provides a wide range of software applications that are free to use. These range from Docs and Sheets to Maps and much, much more. How many of you use Gmail? Exactly. There are so many great applications out there that Google provides almost everyone uses at least one of them. If you are a huge fan of the Google application suites, and you use them all the time, then a Chromebook makes perfect sense. Chrome OS is designed to work seamlessly with all of the Google applications, providing you with a spectacular user experience that can’t be matched if you access the same apps on another platform. 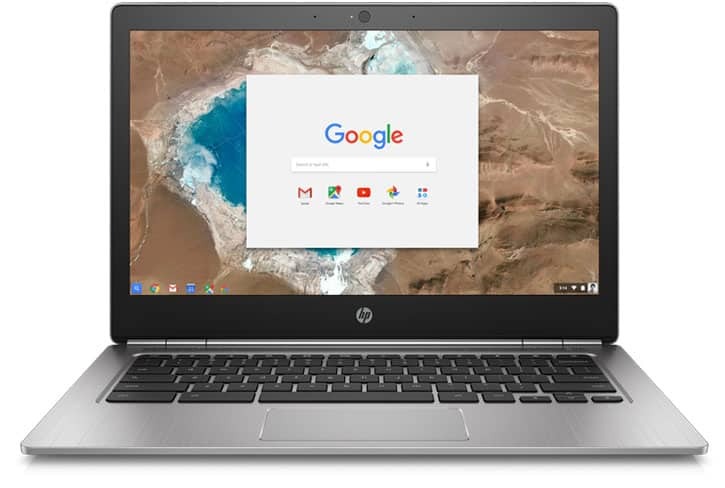 If you want to take your Google application experience to the next level, then you definitely need to pick up a Chromebook today. In the last year, Google has been hard at work moving Android and Chrome OS closer together. The goal is to offer the vast amount of applications available on the Google Play Store on the Chrome OS platform. Recently, Google has updated Chrome OS giving it the ability to load and run Android apps right on your Chromebook. This means that you get one device to run almost all the apps available on both the Chrome Store and the Google Play Store. Really can you beat that deal? Imagine running some of your favorite Android apps on your laptop. Sounds fun and pretty darn productive if you ask me. If you want one device to run all the different apps you have gotten from Google, then a Chromebook is definitely right for you. If there is one thing that I love about Chrome OS, it’s how quick it feels to use. Chrome OS is lightweight and efficient compared to bloated systems like Windows and macOS. Because of this, even meager specs can run Chrome OS pretty well. This means that your user experience will be fast and fluid no matter what you are doing. Some higher end applications may struggle on the very low end Chromebooks, but even on these machines most of you will be doing will run great. Because the specs can be lower, the price drops and you still get a system that runs amazingly well. If you want something that just works and doesn’t experience much lag, then Chrome OS is the operating system for you. Another area where Chromebooks shine over other types of laptops is the battery life. Because Chrome OS is lightweight, fast and efficient, Chromebooks are much easier on your battery life as well. Often laptop makers will use more energy efficient hardware as well, giving the battery even more of a boost compared to other devices. In many cases, you will find your Chromebook will last you nine hours or even more on a single charge. Some I have found will even go a full 12 hours on a single charge, depending on what you are doing, of course. No matter how you shake it, Chromebooks last longer than many other laptops out there, making them perfect for anyone who needs a lightweight laptop with them all time. Of course I can’t leave out the downsides of Chromebooks. After all, there is no perfect laptop, and Chromebooks are no different. Let’s check out a few Chromebook cons so you understand their limitations before you invest your money in one that may or may not work for you. Remember when I said that Chromebooks were cheaper than other types of laptops? One of the ways they do this is by using a plastic design instead of the more premium designs you find that make use of aluminum or other metals in the body. By and large most Chromebooks are comprised primarily of plastic. While this plastic design lowers the price, it makes them much more flimsy. This can really be a problem when you travel and subject the Chromebook to the rigors of the road. Often Chromebook makers use high end plastic giving the Chromebooks a great look and offering a sturdy design and build. But in the end, they still may not hold up quite as well compared to other laptops that cost more but offer better building materials in the design. Chromebooks are designed to run on the Internet. That means that you have to have Internet access in order to make full use of your Chromebook. In all fairness, Google has been improving this functionality. They now offer offline modes for your Google Docs and even some of the movies and music you can access. However, this doesn’t work for everything. The fact is to get the most out of your Chromebook, you need Internet access. Chances are this is fine when you are at home, but if you are looking for something to go with you wherever you go, your mileage may vary. While you are on the road, if you don’t have access to Wi-Fi, you may find yourself with a Chromebook that has very limited use to you unless you have prepared ahead of time. Despite the fact that you can install Android apps on Chrome OS, there are still a ton of apps out there that are just not made for Chrome OS. Sure, there are mobile versions of some apps, such as Microsoft Office, but others don’t have an equivalent. Think Adobe Creative Suite. In some cases, you have to learn to live without them or find something on the app stores that you can use as a replacement. In some cases, this will work. But sometimes, you may have to give up your favorite application in order to switch to a Chromebook. Unfortunately, you can’t just plug in a USB printer to a Chromebook and expect it to be able to print. That’s because Chrome OS doesn’t come with the necessary print drivers to use your printer and none are available to you to install yourself. Instead, you have to use Google Cloud Printing. What that means is you need a printer that is compatible with Google Cloud Printing or you must have a printer connected to a Windows machine to use instead. Basically, when you send a print job, it goes to the cloud and is then beamed to your printer. Not the best way to handle local printing, but one that will work, assuming you have compatible hardware. This could mean you have to invest in a new printer that works or, at the very least, keep a Windows 10 machine running so you can print. Most Chromebooks come with 16GB, 32GB, or 64GB SSDs in them. While some low end Windows laptops may come with a 32GB SSD, most will have the slower 500GB hard drives installed on them. While they may be slower, you will have a ton of room to store your files. This just isn’t the case with Chromebooks. To be fair, Chromebooks are designed to run online and make use of cloud storage such as Google Drive. However, if you have a ton of files such as documents, music or even movies, you may have to invest in more storage with Google which means an added expense. At the same time, you may not always have access to the cloud depending on the Internet coverage wherever you happen to be with your Chromebook. That means that you have to either live without some of your files or buy cloud storage and move your entire digital life online. Okay, so knowing what you know now, should you buy one? The answer is really up to you. I will say this, though. If you use the Google suite of applications or you do most of your work online, then a Chromebook could be right for you. 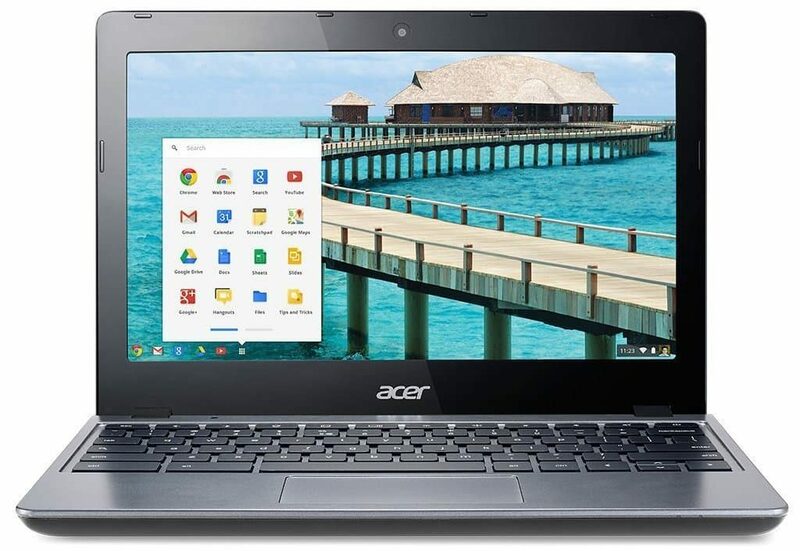 However, because some applications such as Adobe Photoshop aren’t available for the platform, then a Chromebook may not be right for you if you have to use these types of applications on a regular basis. Sure, there are alternatives out there, but you will never quite reach the level of functionality that you are a looking for. Your best bet is to ask yourself how you use your laptop and examine what applications that you need on a daily basis. If you find yourself spending more time online using Chrome or some other web browser, then a Chromebook could be right for you. If not, then you may need something running Windows 10 or macOS instead. You’ve decided a Chromebook is right for you, but which one do you buy? Again, that depends on you. However, I suggest you first examine the screen size of the Chromebooks. In most cases, they range in 10-inch to 13-inch designs. This makes them smaller than typical laptops but larger than most tablets. Which size you get depends on the interface you prefer and how portable you want it to be. After that, look at storage and other specs of the devices. Decide how much power you need out of your Chromebook and narrow down your options from there. Once you do that, it is time to look at the price. Remember, while most Chromebooks are pretty affordable, some can cost as much as a premium laptop. So make sure the ones you choose are within your budget before you carry it to the counter. If you need more help, try our Best Chromebooks guide to find some of the better choices out there. Chromebooks are truly a different breed of laptop out there. Their operating system, based on Google’s Chrome browser is unique and offers a very different user experience. Because of this, it’s not for everyone. Still, if you do most of your computing online these days and you are a big fan of the Google app ecosystem, you will be hard pressed to find a more enjoyable user experience on any Windows or Mac laptop, and you can do it for a fraction of the cost. 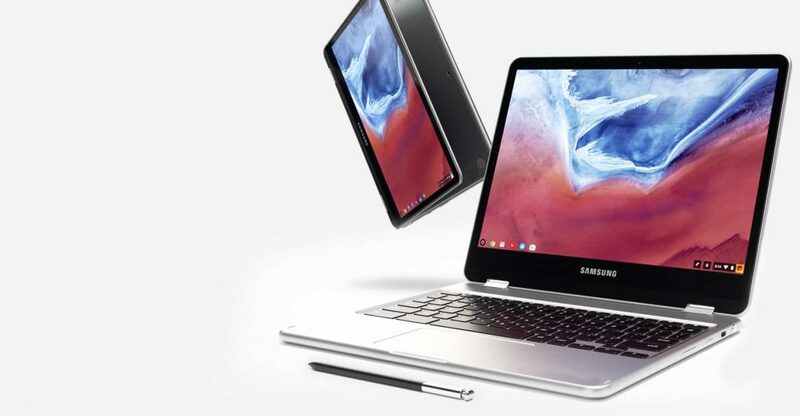 Today, with Google working to bring Chrome OS and Android closer together, you can really get the best of both the mobile and desktop worlds by using a Chromebook. While some applications aren’t available for the platform, in most cases you can find replacements that work in Chrome OS. So what are you waiting for? If you are operating on a tight budget or you want something that just works, then why not pick up a Chromebook today? Do you use a Chromebook? If so, what do you think about it? Tell me about your experience in the comments below. About a year ago, the hinge on my laptop broke two days before I was to leave on a trip. Voila, in an instant, my laptop became a desktop. I needed something to take on the trip with me so I ran up to Bestbuy and ended up with Acer – R 11 2-in-1 11.6″ Touch-Screen Chromebook – Intel Celeron – 4GB Memory – 32GB eMMC Flash Memory – White. My thought, good enough for what I need it for when traveling. I love it. It’s the system I use 90% of the time. It’s lightweight, but feels study. For email, Facebook, and Internet surfing, you don’t need anything else. I only go to my other system (laptop turned desktop) to use a couple of applications, or print. I’m still contemplating whether I need to replace the old laptop at all. If I can solve the printing issue, I have even less reason to want a laptop/desktop. I do not have a Chromebook, instead I installed it as a VM and have been playing with it before I purchase one. Printing is important to me as well, so I wanted to make sure it will print. It was easy to do, provided you have a printer hooked to the network. If it is, it will have an IP address which should be easy to find out by finding the printer’s setup features. Once you have the IP address, simply go to into Chromebooks settings by clicking on your icon in the lower right corner and then choose the gear icon for settings. After that go to the Advanced setting and scroll almost to the bottom. Choose Printers > Add Printers. Give your printer a name, type in the IP address of the printer and choose the Internet Printing Protocol, then click Add. Done. Another downside of Chrome OS is that you can’t use the browser of your choice. Why don’t you list that as one of the “Five Chromebook Cons”? It is definitely a downside/con. You can’t use Firefox or Opera. You can’t use any browser other than Chrome. Why isn’t that listed as a con in posts of “Pros and cons of buying a Chromebook”?